Santana is an American Latin rock band formed in San Francisco, California in 1966 by Mexican-American guitarist Carlos Santana. The band first came to widespread public attention when their performance of “Soul Sacrifice” at Woodstock in 1969 provided a contrast to other acts on the bill. This exposure helped propel their first album, also named Santana, into a hit, followed in the next two years by the successful Abraxas and Santana III. In the years that followed, lineup changes were common. Carlos Santana’s increasing involvement with guru Sri Chinmoy took the band into more esoteric music, though never quite losing its initial Latin influence. In 1998, Santana was inducted into the Rock and Roll Hall of Fame, with Carlos Santana, Jose “Chepito” Areas, David Brown, Gregg Rolie, Mike Carabello and Michael Shrieve being honored. The band has earned nine Grammy Awards and three Latin Grammy Awards, the latter all in 2000. Carlos also won a Grammy Award as a solo artist in 1988. Santana has sold more than 90 million records worldwide, making them one of the world’s best-selling groups of all time. 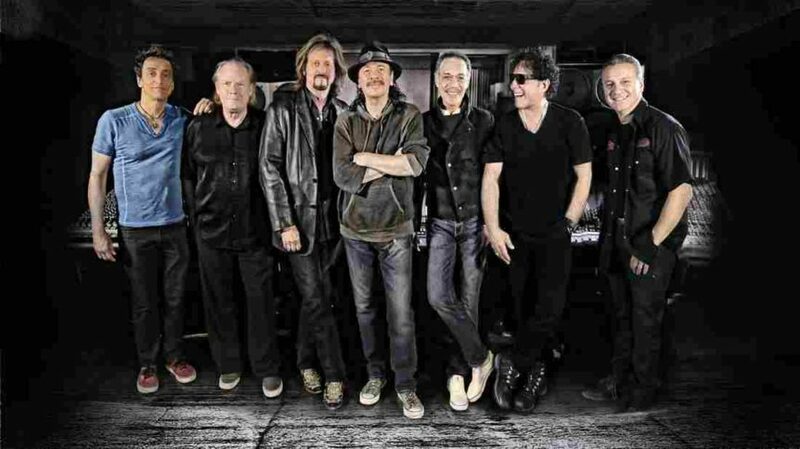 In 2013, Santana announced a reunion of the classic line-up for a new record, Santana IV, which was released in April 2016. They are tied for having the most won Grammys in one night.